Delivering on social media customer service isn’t easy. 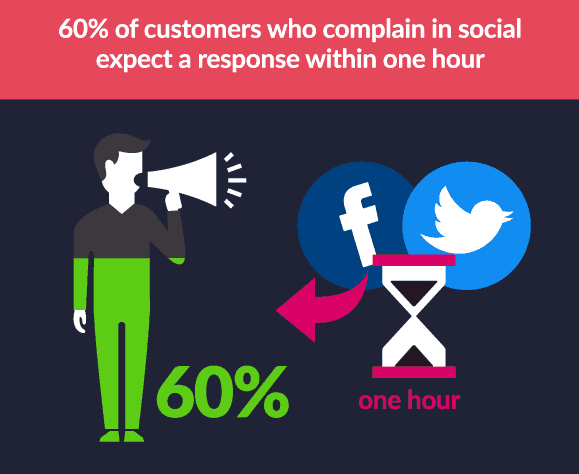 Today’s consumers are more demanding than ever before; Social Media Today reports that 60% of all users who complain expecting a response within an hour. And that’s not all – 67% of us now use social networks like Twitter, Facebook and Instagram to find a resolution to our problems, and one-third of us would prefer to speak to a customer service advisor on Twitter than we would over the phone. Customer service on social media is often quicker and more cost-effective than hiring a dedicated customer service advisor to man your phone lines, and because responses are public, you get to show the world (or your followers, at least) that you care about your customers and want to put things right. When done well, it’s powerful marketing. In fact, when businesses deliver excellent customer service on social media, consumers end up spending 20% to 40% more than they would have otherwise spent, so it pays to put in the effort and keep your patrons happy and invest in a customer service strategy on social media. The biggest challenge for any small or medium-sized business in delivering effective customer service on Twitter, Facebook, LinkedIn or Instagram is time, so today, we’ve rounded up some of the ways that you can speed up your responses and keep your customers happy. Whether you’re a small business or you’re managing a team of 200, delivering effective social media customer service on your own just isn’t possible. Sure, keeping open tabs of your Twitter and Facebook pages is a smart move, but the time and dedication required to manage every comment is just too much – so hiring a social media manager to do it for you is a good move. The average social media manager will set you back around $50,000 per year, but if you make the right decision when hiring, you’ll be able to find a marketing expert that will be able to create graphics, grow your audience and drive more referrals back to your website. And when they’re not doing all of that, they can be answering customer comments and dealing with complaints on Twitter. Indeed, customer service training should be top of the list for every social media manager, so organise time for them to get to grips with your business and the most appropriate responses for comments, complaints and inquiries from your customers. If your budget doesn’t stretch to hiring a social media manager, then consider training your existing customer service team to keep tabs on your social media accounts. You can take it in turns to check profiles and respond to customer comments, and if your staff is more used to speaking with disgruntled clients over the phone, they can resolve issues privately that way. It doesn’t matter whether you’ve got one social media manager or fifteen customer service advisors; set a clear rota so you know who’s managing your accounts at any given time. There are tools for customer service on social media like Mention, Brand24 and Sprout Social, but they’re expensive and can cause confusion if multiple employees are dealing with the same customer. Instead, set a rota and give each of your employees the responsibility of one of your social networks during operating hours. You can try free social media tools like TweetDeck to manage comments and inquiries effectively, and you can integrate your social media customer service with your existing lead generation and complaints procedures to ensure a straight-forward handover. The key to providing excellent service is consistency, so make sure you write down notes and have everyone on the same page to avoid confusion and to help resolve issues as soon as possible. If you’re running a business on your own but you spend a lot of your time on the go, then a wise move would be to turn on notification alerts so you know as soon as a customer gets in touch. 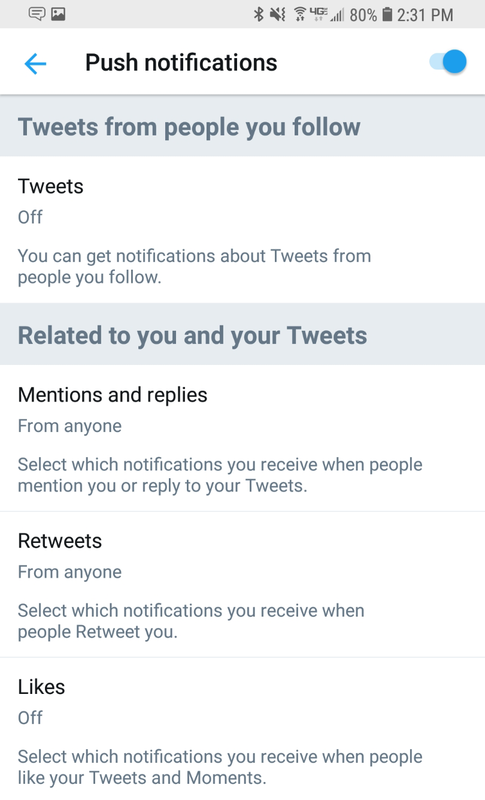 On Twitter, you can turn on Notification alerts by going to Settings and Privacy, tapping on Notifications and selecting the Push notifications you’d like to receive. You can turn on alerts for Direct Messages or Mentions, and even filter them so only genuine interactions come through. On Facebook, go to your Business Page, Settings, Notifications and choosing the types of alerts you’d like to receive. Facebook gives you a huge range of options, offering more control over the type of customer service you’d like to deliver. If you want to respond to every customer interaction, then you can turn on notifications for Check-ins, Mentions, Reviews and Comments, or if you’d like to take a backseat and only respond to direct interactions, you can turn on notifications just for Messages. On your phone, these will be sent to your Messenger app. You can turn on push notifications for comments, tags and messages on Instagram by going to your profile, clicking the tog, and turning on notifications there. LinkedIn offers a similar feature – just tap the Notifications bell, then the More icon and run through your Notifications settings. 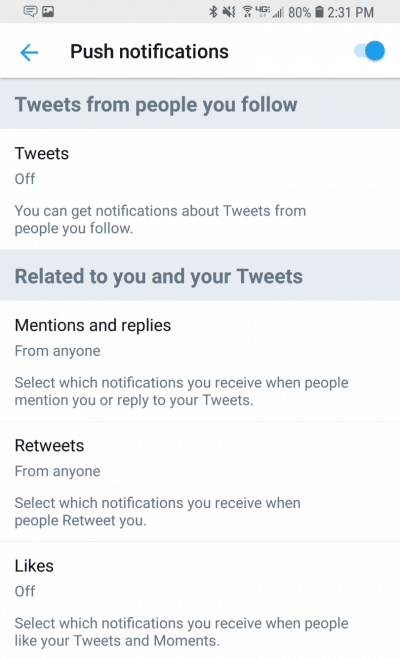 It’s important to remember turning on notifications could “blow up your phone” if you’re suddenly inundated with messages, so look at filtering options and choose the most appropriate settings. Autoresponders can help to speed up your social media response times, as you can link users to your FAQs or give them your number; great if you’re out of the office or closed for the night. While they’re not the right option in every situation, they can serve as a “stumbling block” for users, help some figure it out themselves, or give you time to formulate the right response. On Instagram, you can use a paid tool such as Instazood, which will allow you to automatically Direct Message a response. You can also send a bulk message to all of your followers which, while isn’t a great idea generally, can be useful for alerting users to major downtime or changes to your service. Pricing starts at $14.99 per month and allows for up to 120 messages per day. Things get a little easier on Facebook Messenger. 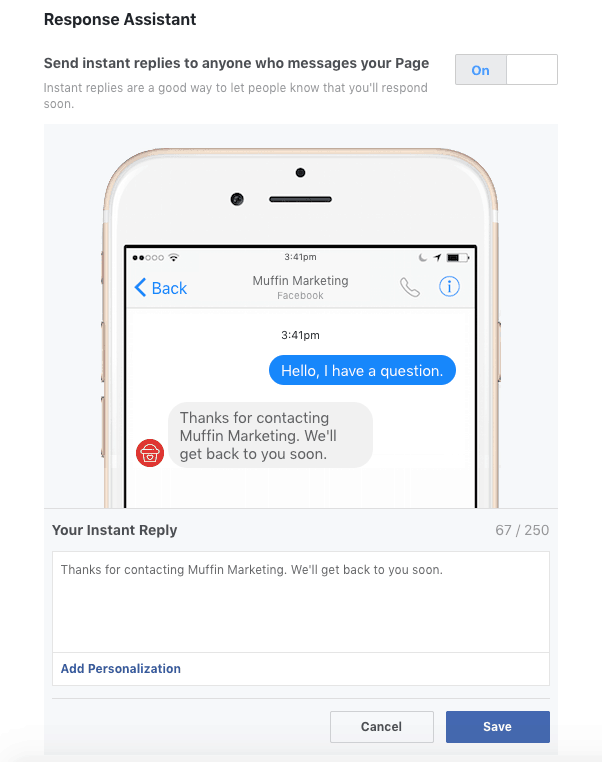 The social network has made it easy for businesses to set up auto-responses to help improve customer service times. Simply go to your Page and click on Messaging, and use the Response Assistant to add instant replies to anyone who sends a message to your page. You can even turn on Greetings, which start conversations with people the first time they start a conversation with you, allowing for a more fluid customer service experience and encouraging users to reach out directly; great for lead generation! Response Assistant helps send automatic responses to your customers. On Twitter, the rules on automated messages are a little murky. The company overhauled its policy on automation at the end of last year, and auto-DM services like CrowdFire have removed auto messaging functionality. There are some alternatives out there that allow you to respond to customers as soon as they send you a message, but they could result in account suspension. One of the biggest reasons why responding to customers on social media takes such a long time is because it’s hard to formulate the perfect response right away. If you have a pool of resources that you can draw from in a matter of seconds, you’ll be able to deliver a more consistent (and speedier) customer service operation to your customers, so start saving your responses and have them ready for the next time a customer faces the same problem. Thanks for getting in touch. Bulkly Bakery is open from 9-5pm every weekday, and 10-4pm on Saturdays and Sundays. We hope to see you in our store soon! Hi, there. Thanks for your interest in our new doughnut range. Unfortunately, our delicious doughnuts are made in the same factory as products that contain nuts, so for your safety, we cannot guarantee that the Chocolate Cream Donut is nut free. Sorry about that. Taking the time to create these responses will not only allow you to deliver responses quickly and more effectively, but they guarantee consistency and ensure the right messages are sent at the right times. Conflicting messages from the same social media account just don’t look good. However, while default responses can save time, it’s also important that you add a personal touch. 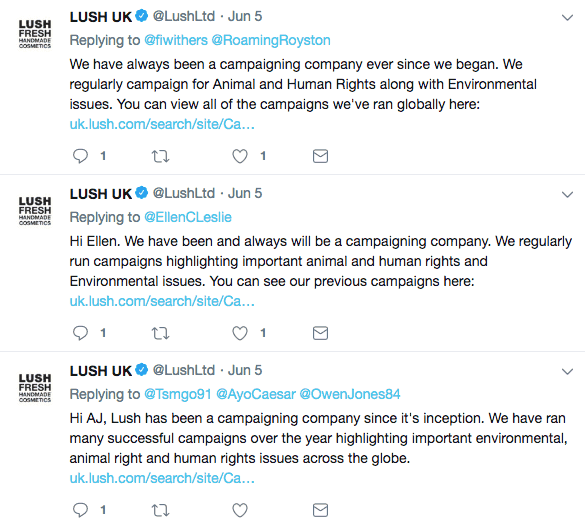 One great example of this is Lush, who used a template to respond to the thousands of complaints it received over one of its recent advertising campaigns. 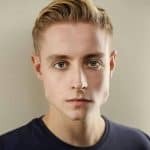 The social media managers slightly tweaked each response to add a personal touch and show that there was a genuine person behind each response. Failing to do that could make your social media presence look robotic. While every response was unique, a template ensured the response was consistent. If your customers are asking the same questions over and over again, then you may want to join corporate giants like Apple, Vodafone and supermarket Tesco by launching dedicated Support accounts for your business and posting out useful content that will resolve customer issues. Bulkly, for example, helps you to end boring social media scheduling tasks and have quality updates automatically sent back to your Buffer account. If you create a bank of high-quality content that’s useful to your customers and have it shared out on a regular basis, many customer problems can be resolved without them having to speak to you in the first place. Take a look at Apple, for example. The company’s new HomePod no doubt sparked questions from customers, so their customer service account tweets out helpful tidbits of information that allow users to resolve their own issues; and these tweets are recycled to widen their reach. Clearly advertising your opening hours on social media puts everyone in their place. No small business can offer 24/7 support, so letting your customers know when you’re in the office can give them peace of mind and reassure them that somebody will respond to their complaint as soon as they can. If your customer service offering is vague, people will likely get angry and vent in comments, write negative reviews and choose to avoid your business in the future. 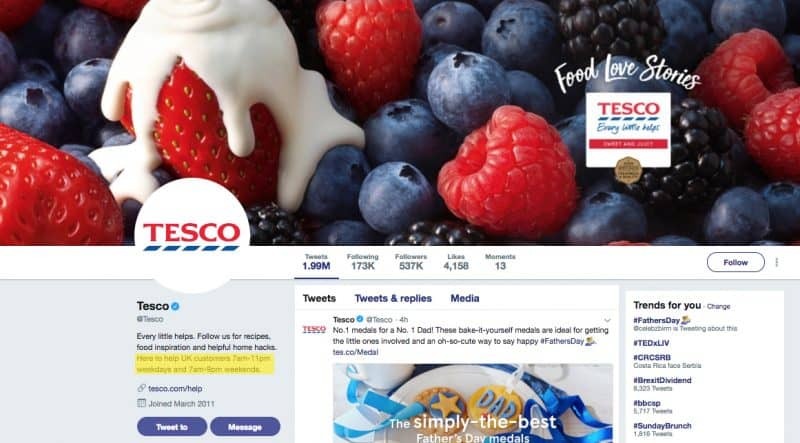 On Facebook, opening hours are already clearly labelled in the sidebar, but on Instagram and Twitter, mention when you’ll be around in your bio so people know when they can expect a response. Social media has, without a doubt, made it easier than ever for consumers to interact with their favourite brands and get a response to their comments or complaints in a matter of minutes. But as big brands invest more of their time into delivering top-notch social media customer service, smaller businesses like yours are expected to do the same. The techniques we have mentioned in this post should streamline your customer service processes and ensure customers are getting the right responses the first time. Don’t abandon your social media channels and don’t shy away from offering customer service on social; it might just come back to bite you. Let us know in the comments how you are leveraging social media for customer service.